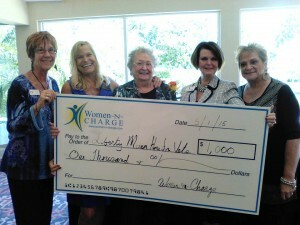 Connie Lindsay was recognized as Women-N-Charge 2015. Lindsay has been dedicated to the veterans initiative since 2006. Though she and her husband, David were involved in a high profile hit and run motorcycle accident in 2014, the pair have worked earnestly to remain diligent to veterans needs by providing them with the beat housing possible – contributing to a better quality of life. In an effort to assist the struggling organization, Women-N-Charge presented Liberty Manor with a check for $1,000 to help provide food for over fifty veterans for a month!